Disney will also be replacing Olaf's Japanese voice in all Frozen-related media released in Japan. Masanori Taki, who goes by the stage name Pierre Taki, is also known for being one half of the techno-pop duo Denki Groove, his current supporting role in the NHK drama “Idaten”, and for his recent role in Sega's Judgement by the Yakuza development team. Sales of Sega's Judgement have been halted in Japan following the news of Taki's arrest. NHK has announced that they will be pulling all episodes of "Idaten" that Taki appeared in, and Sony Music will be removing all CDs of Denki Groove from sale. The 51-year old actor and performer admitted to using cocaine and also tested positive for the drug following his arrest in Tokyo. Investigations on how he obtained the substance are currently in progress. LOOK HERE GUYS. I don't want to hear any sly jokes about drug use. None. Not a single joke about Olaf and coke. I see all of you and I know exactly how this can go. Changing Olaf's voice in an already released game is a bit of an overreaction. 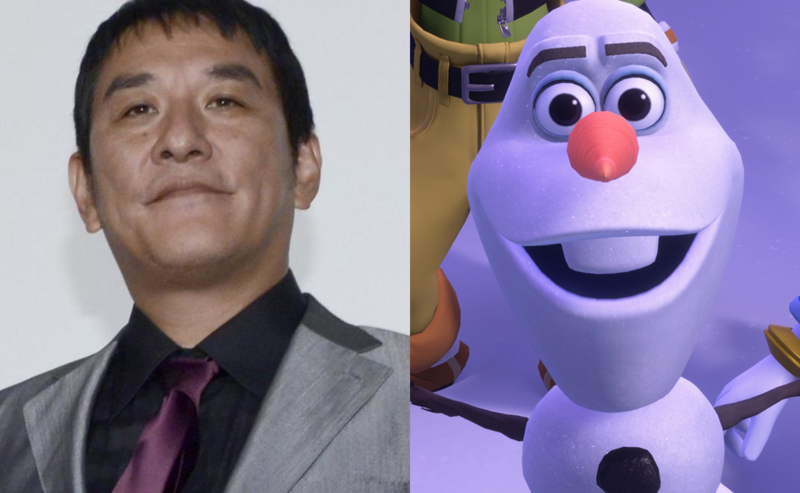 I mean, I would understand if Disney changes his japanese va for Frozen 2 and every future Frozen-related media, but the drug scandal wasn't there when KH3 was being recorded... They have nothing to be ashamed of. Yeah, it really does seem like an overreaction on their part. Then again, different standards in different parts of the world, and we're talking about a very popular company here, so they're probably going to save as much face as they can. To us in the west, perhaps. In Japan, they have very strong views on drug use and even being associated with somebody doing drugs can ruin one's reputation. It's weird to us but we are just outsiders looking in. I don't really think what somebody puts in their own body should affect the sales of any products, but it does so these companies are trying to reduce risk by cutting out the problem altogether. I don't agree with the criminalization of drug users tbh. That is honestly where I take issue, but I think the over-reaction and the shunning is fair when usually the sale of drugs in Japan are linked to some really awful and disgusting "business" dealings. The article provides several other examples of companies pulling Taki's work. It's not just SE doing this. Because some of us have had people close to us die from drug abuse or go to prison for it and donâ€™t find people making tasteless jokes funny? To add to this, the attitude towards drug use in Japan has cultural grounding in a series of meth epidemics that impacted the country in the aftermath of World War II and led to many of the strict laws which are currently in place-- sociologically, public perception of drug abuse having that innate connotation with the extreme state of the post-war society surely contributes to the stigma. Though it's worth noting that much of the fervor surrounding the topic is media driven, and there are ongoing efforts towards reform advocating a recovery oriented approach as many other countries around the world have adopted. That said, SE could have really gone for it and cut Arendelle from the game entirely and I would have no complaints. Sega halted all shipments and digital sales of Judgment, presumably until they can replace him. Now that's what feels like an overreaction. If they can patch a character's entire dialogue, can they patch the error during "Let It Go"? Yeah, of course. They probably already planned on fixing that in the western version anyways. I've lived in Japan for almost twenty years, working as a high school teacher. Drug use is taken very seriously here simply because currently it's not as huge a problem as it is elsewhere, and people want it to stay that way. Every year my school has an anti-drug abuse assembly at which the police come and talk to the kids about how people are drawn in, what bad effects it has, and why it's illegal. We often have a chemist then talk about drug abuse and why it's so dangerous. The severe reaction to stars doing drugs is very easy to understand if you consider the effect those people have on the lives of regular people. They use the word "idol" for a reason, after all. What better way to show the consequences than to actually prosecute famous people just like regular people? If anything, I'd say that our double standard for this in the West is what's strange. Incidentally, the consequences of drunk driving are equally severe: if you are caught driving under the influence of alcohol, not only will you be arrested and lose your license, you will also lose your job, and probably be socially ostracised on top of all of that. This is true of all people, not just stars. And it can happen even to people who are caught the morning after who still have too much alcohol in their bloodstream. Did I mention that the legal limit is essentially zero? Both of these things exist as strong deterrents to the negative behaviour. This is likely the big difference between our cultures: Western cultures tend towards fair punishment for the individual, then rehabilitation, while Eastern cultures tend towards punishment to make an example as a deterrent to others, with rehabilitation further in the background â€” though it is still present. The actions of Disney, Square Enix and other companies to replace the VA is about distancing themselves from the situation, but also about salvaging their properties and allowing them to continue. If you don't understand the severity of the reaction, just imagine a crime that's taken more seriously in the West. I don't want to get into examples, but if someone is viewed as toxic, it becomes a matter of damage control and then saving your properties and allowing them to move forward by replacing the toxic personality. In conclusion: even if the specific laws are different between countries, I don't think it's that hard to understand the reaction if you keep an open mind. I just remembered a great example of a difference between the UK and the US, actually. Even between these two Western countries there are huge differences in law and how it's applied. Sega has said they are discussing what to do about it. I'm almost certain it will be delayed in the west until they can get a new actor in the role. Releasing the game with Pierre Taki in it in English will look bad on Sega JP just by association, so a delay is pretty inevitable by this point. Wait, what? There was an error during Let It Go? In the English version of the scene, one of the frames had a watermark on it from the Arnold renderer. This renderer is licensed in real-time from a server, so the machine that was rendering that frame just got disconnected from it at that moment. It's a pretty common issue and actually not the first time it's happened in KH (I believe there was another instance in the 0.2 opening). so that's the error thingy everyone was talking about. That came from left field. I'm not a mind reader. Sorry I guess. I brought it up to make a point that sometimes people are saying â€œdonâ€™t make tasteless jokesâ€ for a reason. A person shouldnâ€™t have to explain the reasons why, but I did because it seems as though people find it so easy to make jokes on this subject without taking a second to stop and really think about how that could affect another person. You donâ€™t have to mind-read but heeding a fair warning is all I really was looking for. And this is really aimed at everybody, not just you. No need to apologize. lol, what is the statute of limitations on patching a character's dialogue? It's done and over with; back in my day, games couldn't be patched *waves cane*. Actually games have received patches pretty much since day one. The thing is, before consoles could connect to the Internet (in like a default function way, 'cause they'd been trying that for a long time as well), patches were released via later shipments of the game. The Legend of Zelda: A Link to the Past, for example, was patched twice to version 1.2 in Japan. The international release was v1.1 if I recall right. Jak X on PS2 infamously had a glitch that would corrupt your save file. This is patched out in the Greatest Hits release. Another example is with The Legend of Zelda: Ocarina of Time. The original release (gold cartridge I believe?) infamously had Muslim-ish chanting in the Fire Temple theme music, that was removed in later editions of the game. Yeah, games have always updated and changed, just before it was hidden in reprints. Now it is a lot more convenient for them to patch a game via an online download. Iâ€”Iâ€™ve got nothing to say. I heard about this only yesterday. Never thought Iâ€™d see the words Olaf and drugs in the same sentence. Oh Boy, that's not good and fairly disappointed on what he did. 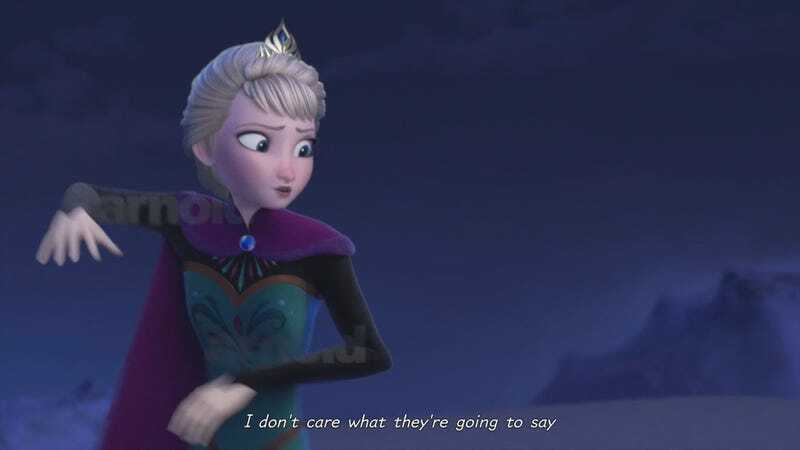 It would be interesting how they would immediately replace Olaf's voice in future releases for KH3 given that voice recording for the Japanese version happened since 2017 to early-mid 2018, along with the forthcoming Japanese dub of Frozen II and future Frozen related media. Disney will have a pool of actors to choose from who may have auditioned for the role in the past or have a casting call sent to various talent agencies. It wonâ€™t take long to recast, re-record, and change all of this media. That's true, and normally (not often; depending on the situation) recasting someone for a new actor that was on a previous project (be it a game, movie, show, tv episode) normally they re-recorded lines in just a day. I think one example was when Louis C.K. sexual harassment allegations rose in Nov. 2017 and because of this Disney had Louis C.K. 's lines as the monster removed in later airings of the Gravity Falls Weirdmageddon episodes (including the digital releases on Amazon, Itunes, Hulu, Netflix, etc..) with Alex Hirsch. It's always sad when things like this happen. Find a new voice actor for the next projects is understandable, but I don't agree with replacing what he already recorded. It's overreaction for me. Speaking of japanese voice actors, I heard the reason why Phil doesn't talk in KH3 is because his japanese voice actor Ichiro Nagai passed away and since he isn't crucial for the plot like Master Xehanort, who both voice actors passed away, they decided to keep him silent out of respect. Phil's japanese voice actor passed away in 2014...so if that's true, I can't agree with that either. I'm actually in favor of them doing this; I wish this was how they did it in the US. So many rich people in the US do drugs, drunk drive, and all sorts of disgraceful acts, but because they're rich, they can literally get away with murder. The voice actor had admitted to doing drugs and no one knows how long it's been going on. He could've been under the influence before recording for KH3, so it makes perfect sense not to take any chances and just excise him completely. I read articles online that were written in reaction to the news, and they are extremely strict on drug use. Paul McCartney brought a bag of pot to Japan and they arrested him. They were fully willing to convict him and imprison him for 7 YEARS over it, but the US negotiated him getting deported instead. There's lots of stories like this. As someone going to Japan, I had to research which of my prescriptions I could take with me there; the list of prohibited items is somewhat surprising. A teacher in Japan was arrested because she ordered some Adderall mailed to her, and ended up getting deported too. As a society that has such a huge emphasis on status and reputation, this does not surprise me at all. No businesses want anything to do with stuff like this, especially anything Frozen-related considering how that movie was the jewel of Disney.